Sniper of the Red Haired Pirate Crew. Yasopp is a gifted sharp-shooter said to be capable of shooting the legs off an ant at 100 feet without harming the rest of it. 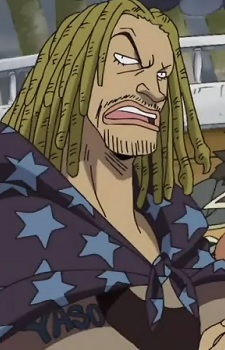 He is the father of Usopp and was one of Luffy's favorite members of the Red-Haired pirates.